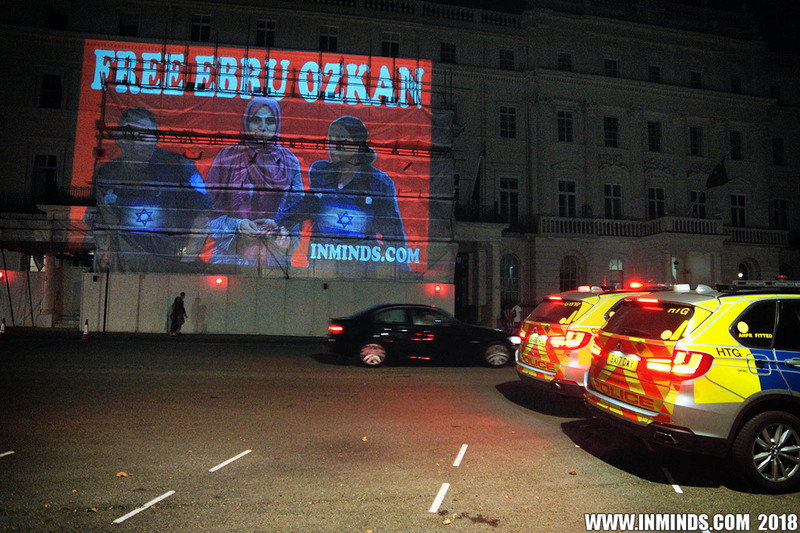 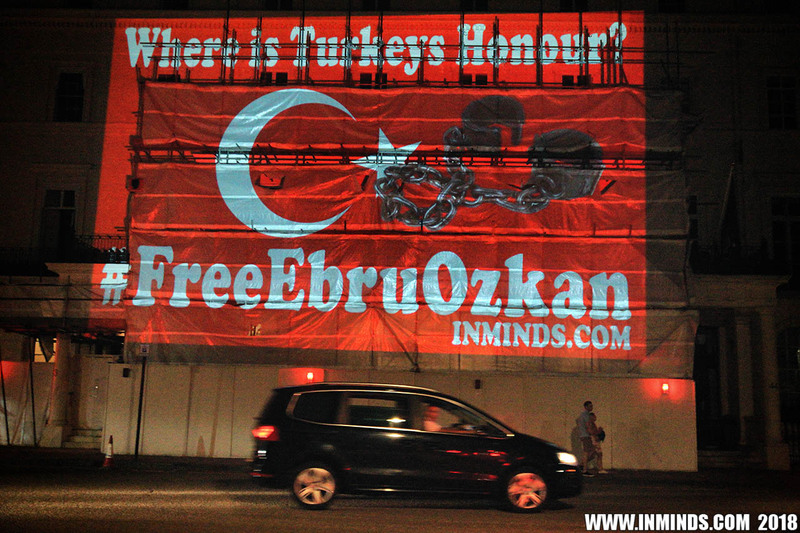 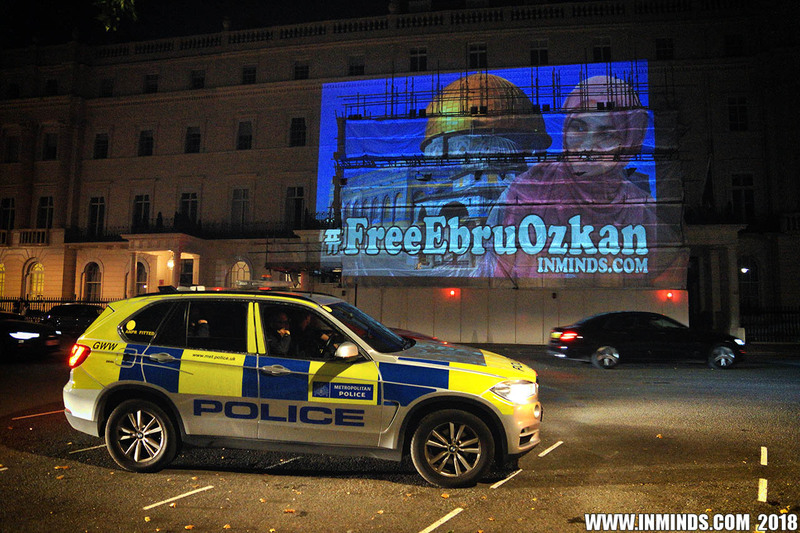 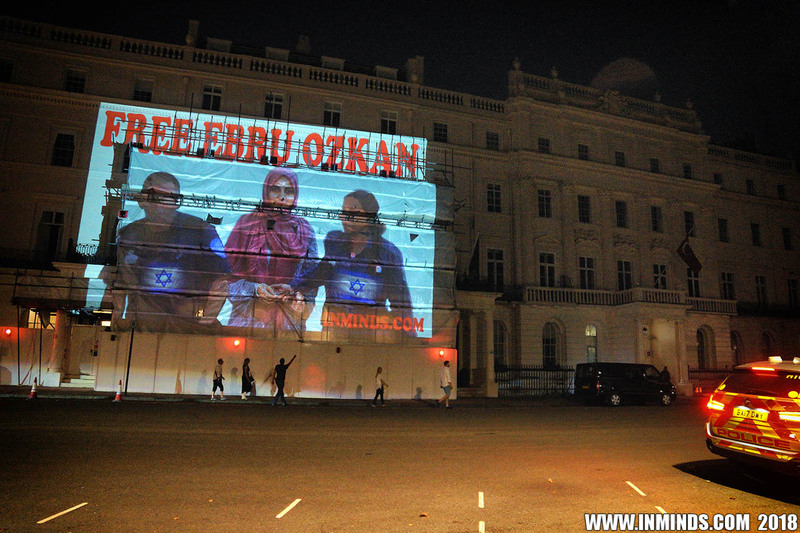 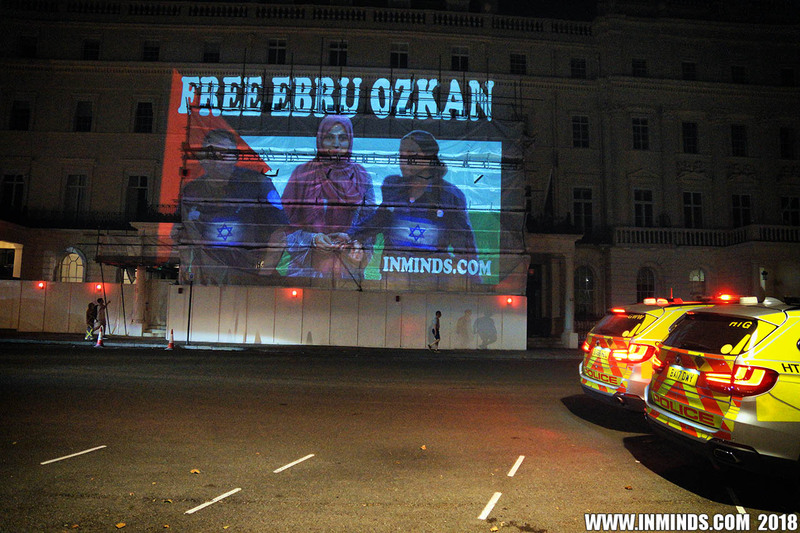 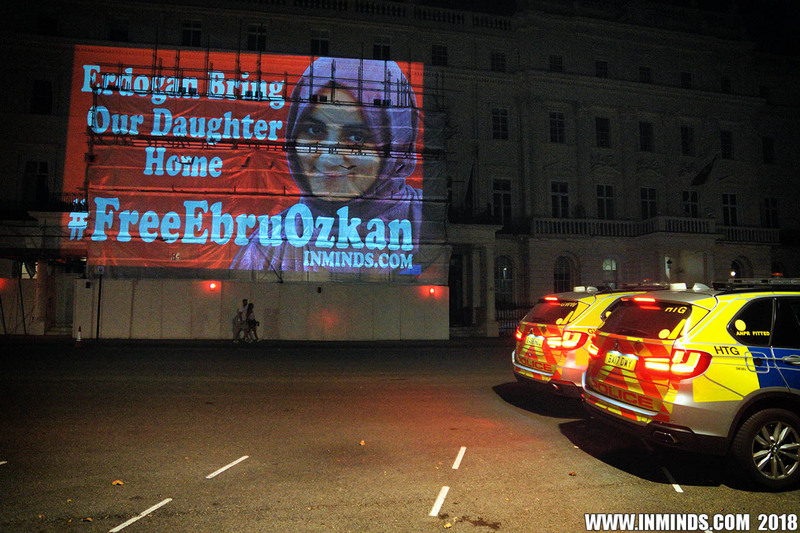 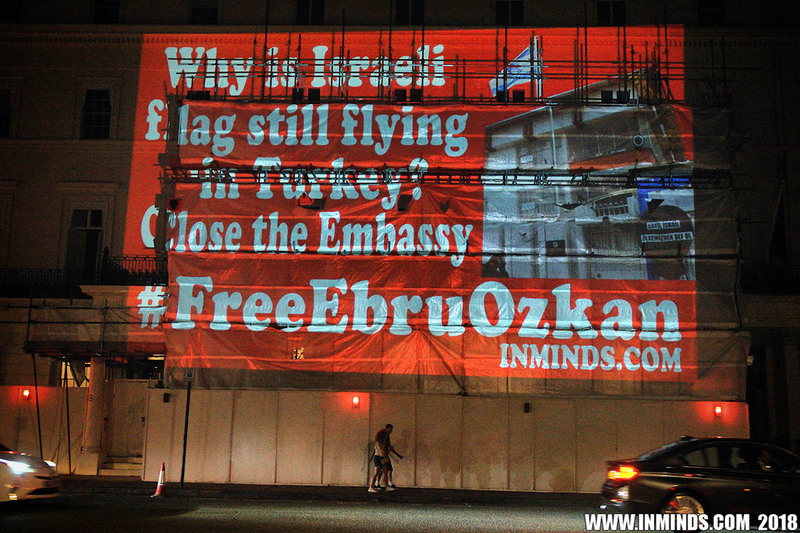 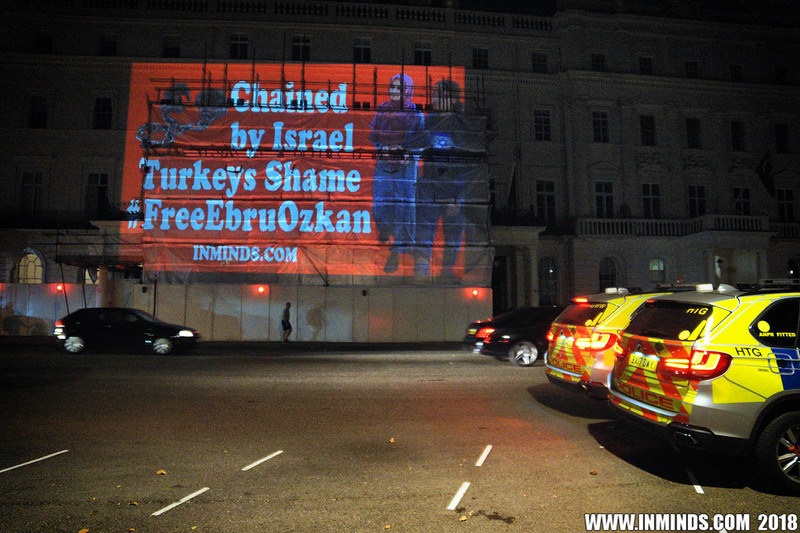 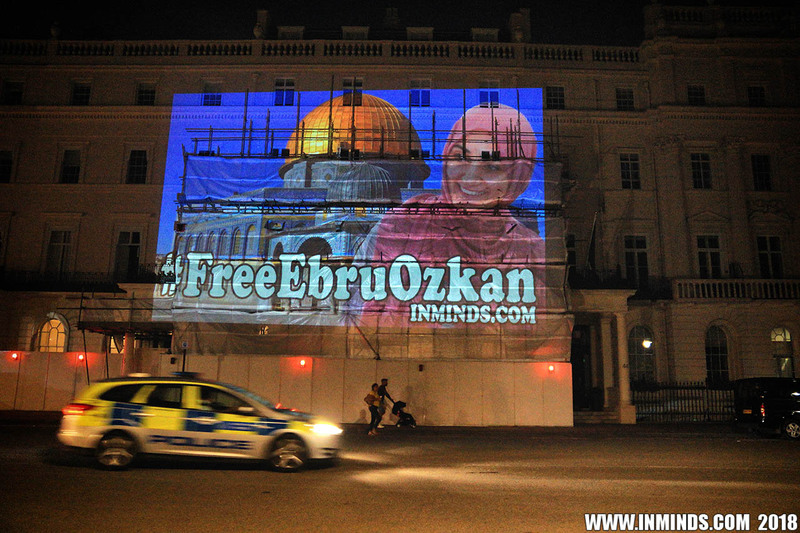 On 14th July 2018, Inminds Human Rights Group undertook a guerilla projection outside the Turkish embassy in London to demand freedom for 27 years old Turkish citizen Ebru Ozkan who was abducted by Israeli secret police on 11th June 2018 whilst boarding a plane home, after a 4 day holiday in Jerusalem. 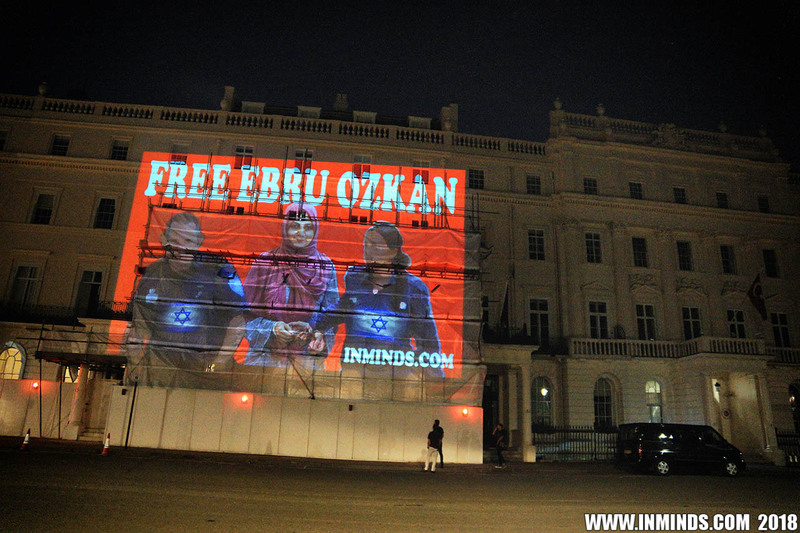 The projection urged the Turkish government to use its considerable influence to pressure Israel to drop its ludicrous charges against Ebru Ozkan and free her to come home to her family. 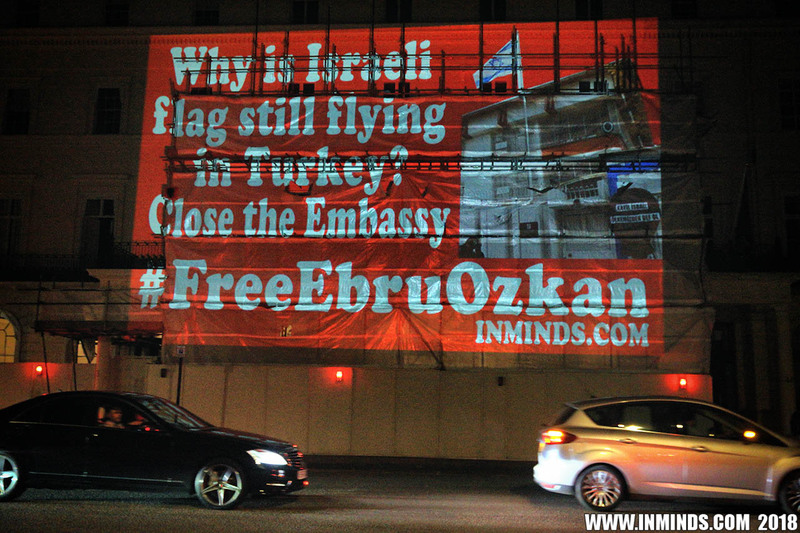 On 8th July 2018 Ebru Ozkan was dragged to an illegal Israeli military court with her hands and feet bound in metal shackles and charged with threatening the national security of the fourth strongest military in the world, by bringing 5 bottles of perfume (in 2016), a phone charger and $500 into Israel. 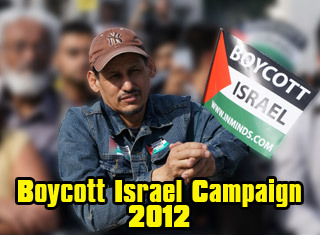 The beneficiaries of these items, it is alleged, apparently had links to Hamas. 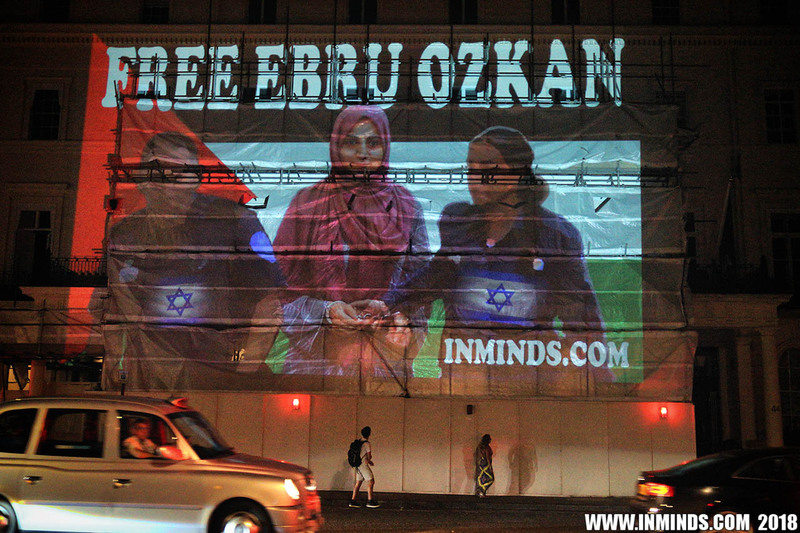 This is the best Israel's secret police Shin Bet could come up with after interrogating Ebru Ozkan for nearly a month. 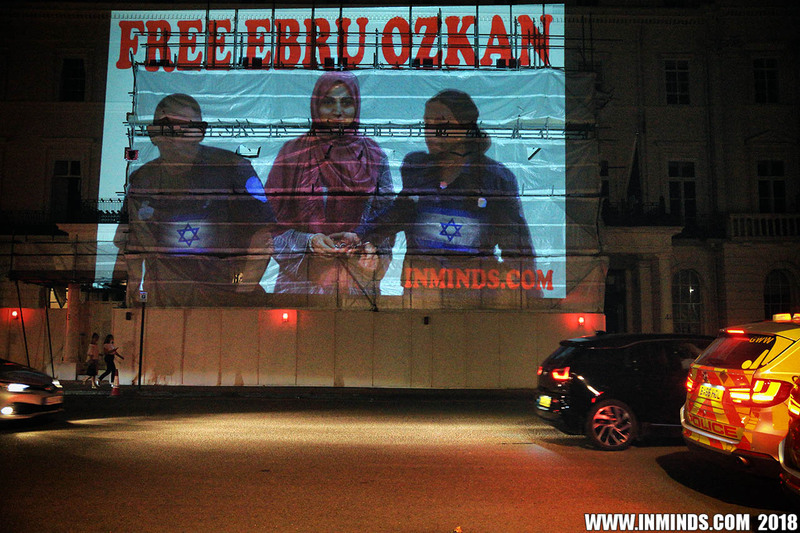 Despite her asking for a Turkish translator the interrogations were conducted in Arabic which she does not know well and the transcript she was forced to sign was in Hebrew which she does not understand at all. 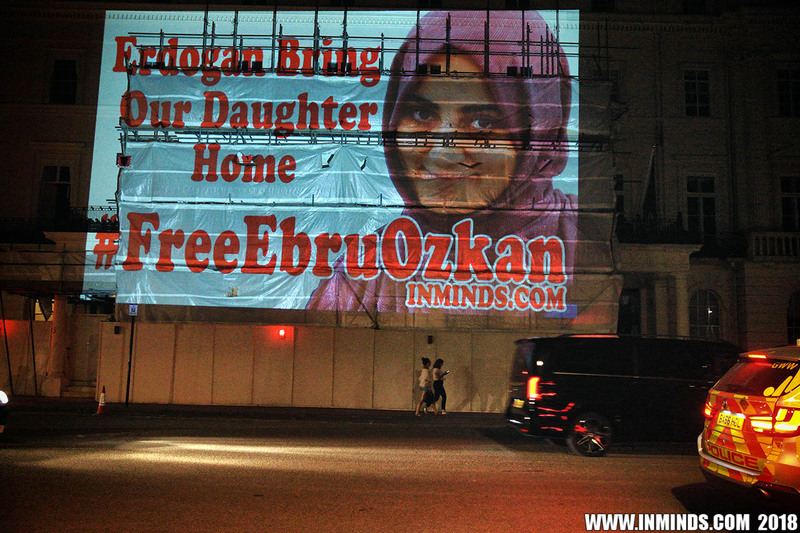 After being caged for a month, Ebru Ozkan was finally allowed bail a few days ago upon payment of a ransom of over £3000. 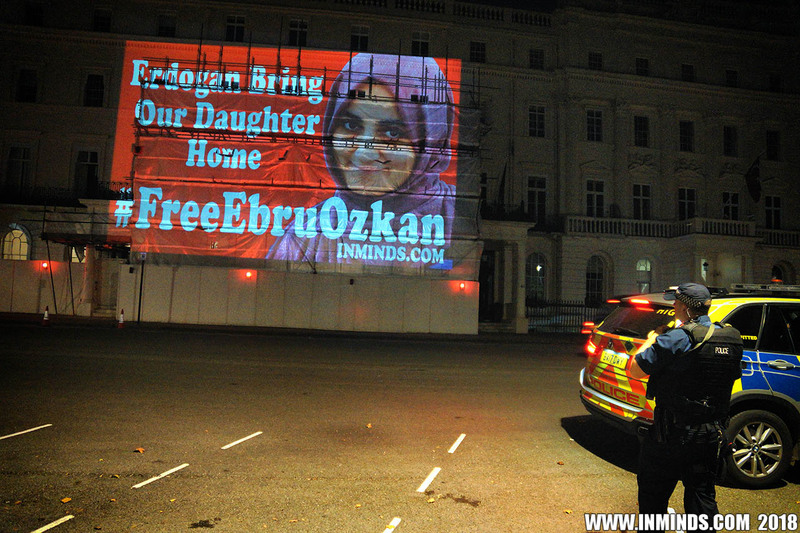 As condition of bail the military court confiscated her passport and she is forced to attend a police station twice a week. 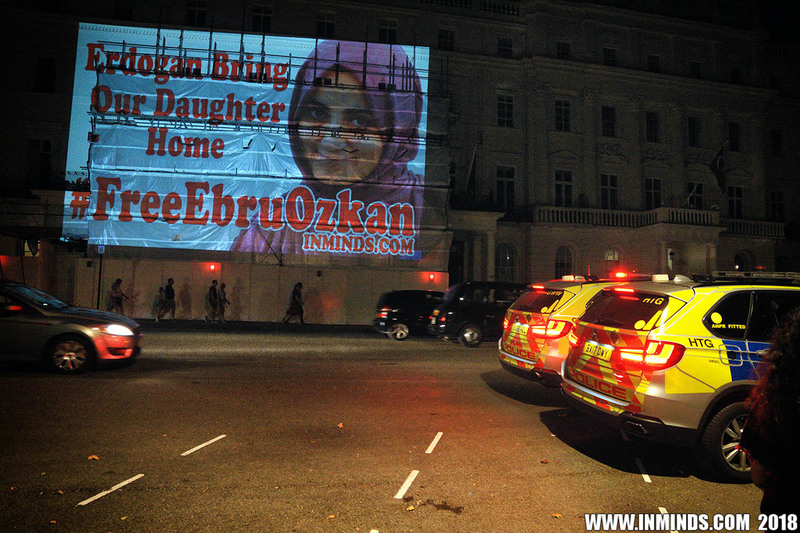 Her military trail starts on 29th July 2018. 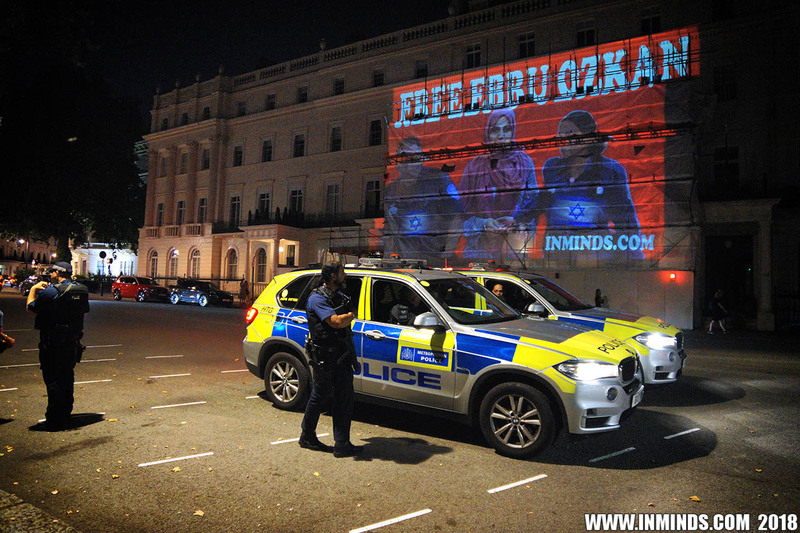 Within seconds of the projection starting, four rapid-response armed guards from the Turkish embassy pounced on us demanding the projection be stopped , they were followed by several regular police cars surrounding us. 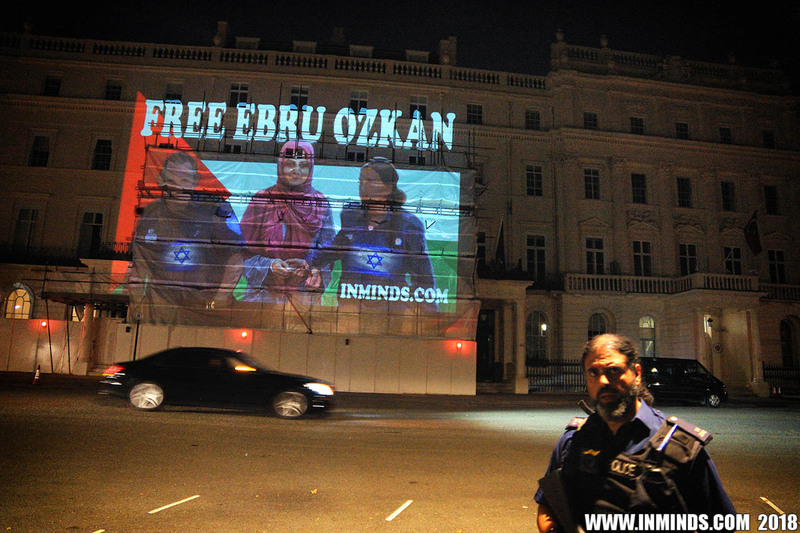 We put up a robust defence, refusing to stop our projection and demanding the police respect our right to freedom to peaceful protest. 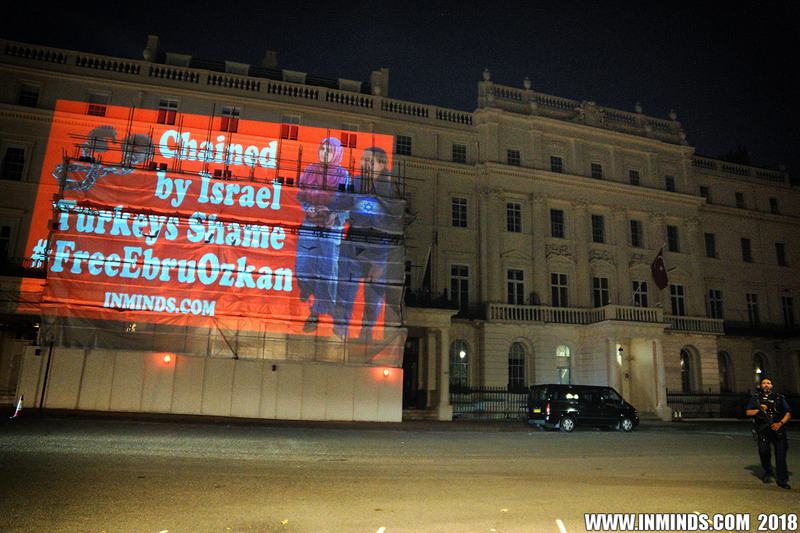 Not having found any legal reason to stop us, one of the armed guards suggested that projecting hand cuffs might be distressful to any children who happened to be wondering around Belgrave Square at 11pm.. we wondered if he thought they would also be distressful to the countless Palestinian children who are shackled in them whilst being tortured..
Imninds chair Abbas Ali said "After a month of interrogation, and we all know that's often euphemism for torture, all Israel has on Ebru Ozkan is she brought 5 bottles of perfume two 2 years ago, a mobile charger which she took back home, and $500 she was given by a friend for their family in the West Bank. 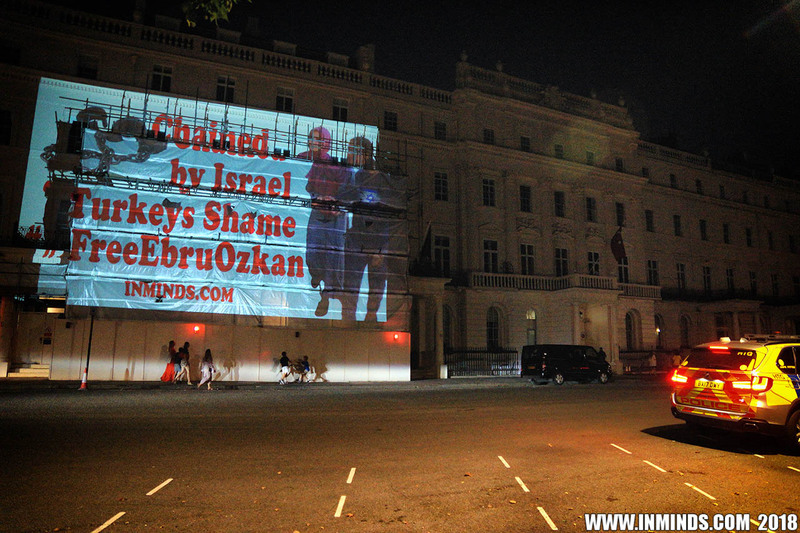 To spin that as money laundering for terrorism is ridiculous even for Israel. 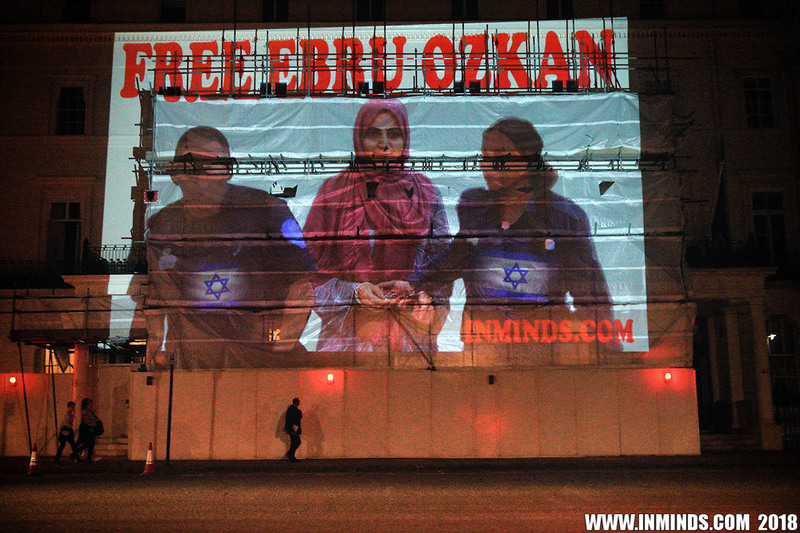 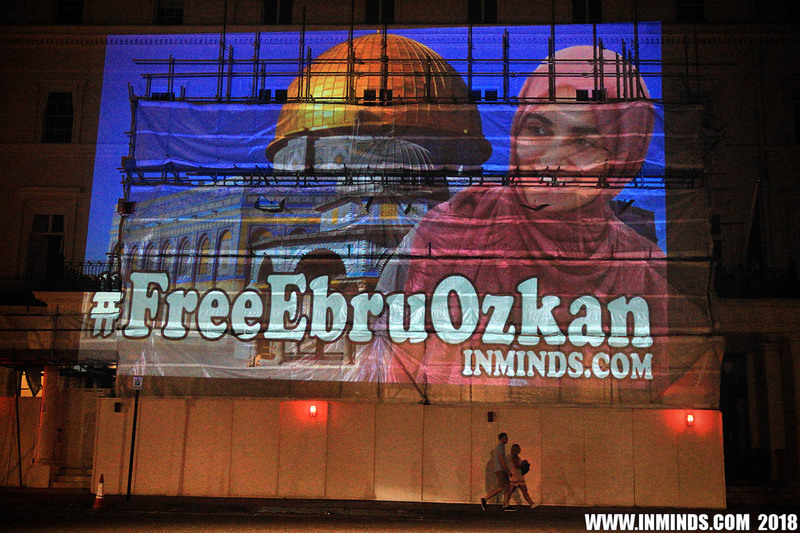 Clearly Israel's persecution of Ebru Ozkan is a sign of Israel's weakness and paranoid fear of its inevitable end. 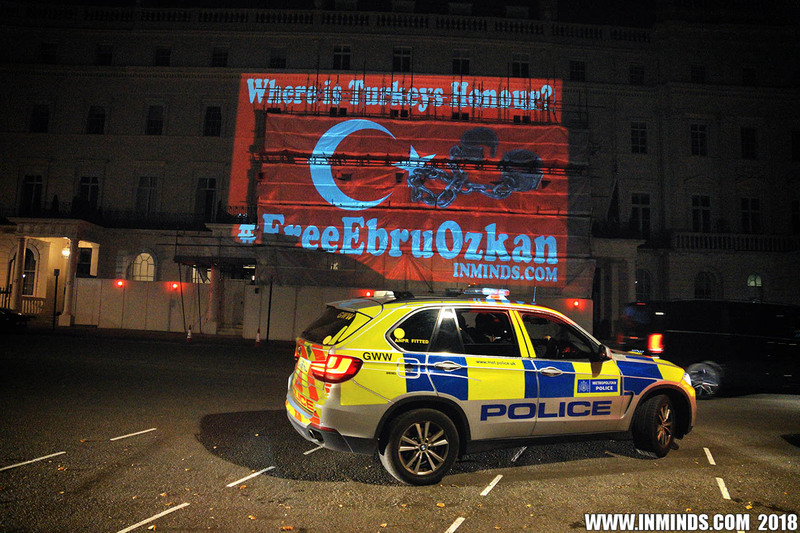 We have to fight this injustice and campaign for Ebru Ozkan's release. 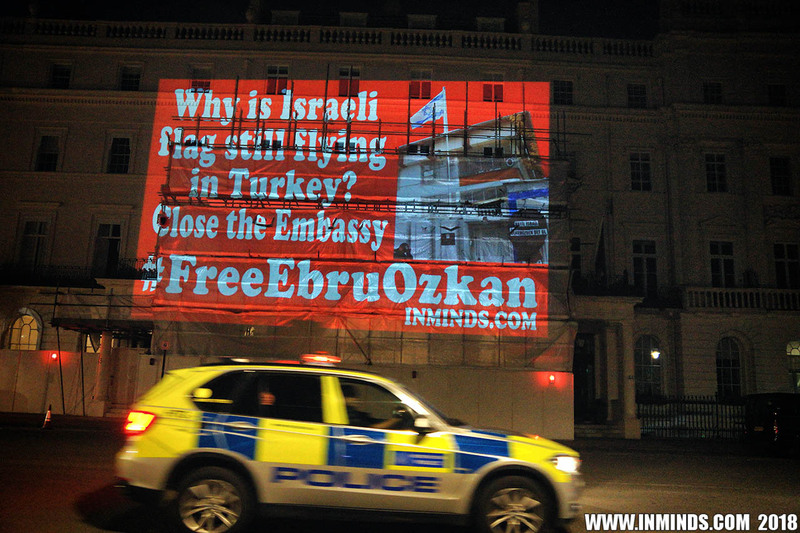 The best pressure point to affect her release is the Turkish government, which has joint cooperation agreement deals with Israel in practically every field from military, economics, to theft of Palestinian natural gas.. Turkey only has to hint at Ebru Ozkan's incarceration impacting one of those deals to secure her release. 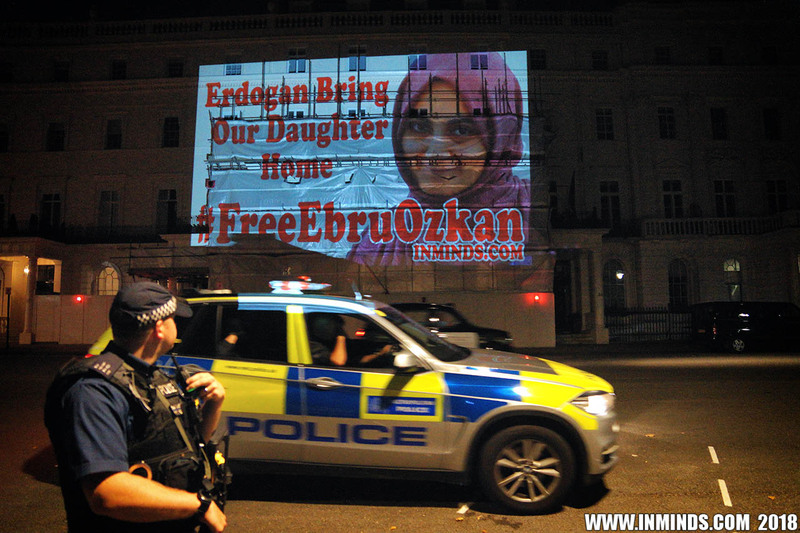 Words are cheap, its time for action from Mr Erdogan!"